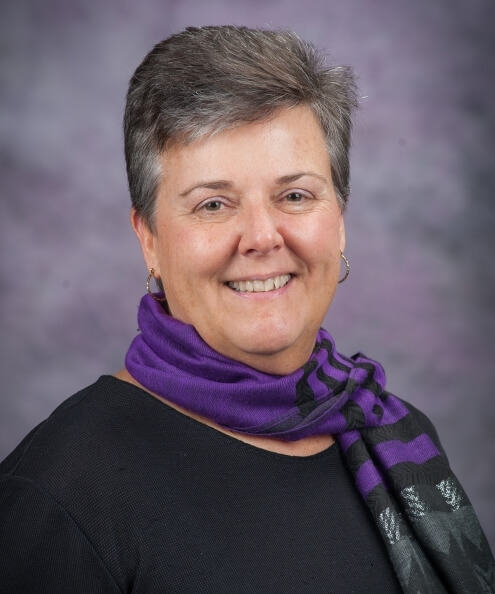 Elaine Johannes is an associate professor and Extension specialist in youth development in the School of Family Studies and Human Services at Kansas State University. Johannes has a bachelor’s degree in psychology, a master’s degree in adult and community counseling, and a doctorate in life span human development from KSU. In 2014, Johannes won the KSU College of Human Ecology’s Dean Barbara Stowe Professional Development Award for her work in adolescent health. In 2010 she was awarded the Faculty Extension Excellent Award for her community-based, health promotion work featuring youth/adult partnerships. Having been awarded a contract by the Kansas Department of Health and Environment, she completed Kansas’ first adolescent health needs assessment for the state’s Title V grant. The results of that assessment led to two U.S.Department of Agriculture―Substance Abuse and Mental Health Services Administration grants to index behavioral health needs. Johannes serves on the Kansas Maternal and Child Health Council for the Kansas Department of Health and Environment. She also serves on the national Association of Public and Land-grant Universities’ Extension Committee on Planning Health Initiative. As a member of K-State Research and Extension faculty, Johannes focuses on youth development, adolescent health and community engagement. In addition to teaching courses for Great Plains Interactive Distance Education Alliance, she manages grant-funded projects that promote health through youth/adult partnerships as well as building the capacity of rural communities to promote positive youth development. Her applied research promotes “youth voice,” social connection and resilience among families and adolescents in poverty. Prior to joining K-State Research and Extension in 1991, Johannes provided community-based services to older adults and their families in 18 counties as the director of community services for the North Central-Flint Hills Area Agency on Aging. In that capacity, she also established a rural housing authority and a housing rehabilitation function for the agency.